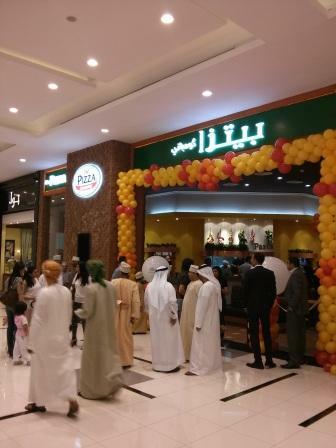 Last night the latest restaurant to open at the Muscat Grand Mall, The Pizza Company, opened. It looks like it's competing against Pizza Express. Prices for a pizza range between RO 2.500 for a small and RO 6.900 for an "extreme pizza" that's extra large. Did anyone try them yet?! Yea I did, not too fond of it. Dominos is still better.